Chelsea Football Club have been having a lot of fun in the past four months, on and off the turf. When the club hierarchy appointed Maurizio Sarri as manager in the summer, it was obvious that they wanted an experimental change in philosophy. Transcending into a free-flowing vertical brand of possession football from Conte and Mourinho’s defensively rigorous teams was always going to be a gamble, even more so with Chelsea’s infamous revolving door policy for managers. The club wanted a solid start to the season and by backing Sarri’s philosophy, and they’ve got the perfect start possible in a league so demanding. So far this season, Sarri has employed similar strategies as his previous spells at Empoli and Napoli: the same philosophy which earned him a mention in the Italian encyclopædia and led to his brilliant reputation in his country despite not winning any major honors. 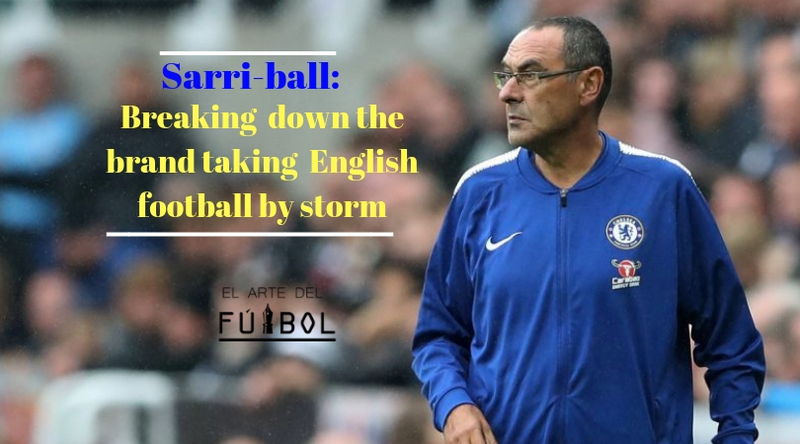 The essence of Sarri-ball is a brand of possession football where ball retention is key, but not just for the sake of it. It requires a 4-3-3 formation stacked with technically adept players both in defence and midfield, with Sarri largely relying on quick interchanges and individual quality to make things happen in the final third of the pitch. A modern goalkeeper is a necessity in his philosophy, which led to Chelsea dishing out a world record fee for Kepa Arrizabalaga from Athletic Bilbao: a goalkeeper who is as efficient with his feet as he is with his gloves. Sarri mostly prefers attacking through the left, a flank stacked with attacking prowess, and his players need certain tactical identities to be a success in his system. Sarri relies on triangular passing combinations playing out of the back. With David Luiz, Antonio Rüdiger, Marcos Alonso and César Azpilicueta playing every minute of the Premier League so far, Sarri has got himself a preferred back four as he did in Napoli. Chelsea have instilled a high line in defense, and they play out from the back with the help of centre-backs forming a good understanding with the goalkeeper, with quick triangular passing to get past the first line of opposition press. Arrizabalaga’s ability to find his man comes into play when the centre-backs draw attackers into the middle of the pitch, with a renowned feature of his distribution being his lofted passes into both full-backs in space. Luiz and Rüdiger are extremely dependable on the ball, with both possessing the ability to make passes breaking opponent lines into either attack or midfield. Alonso being the attack-minded fullback tracks up and down the left flank, with the more defensive Azpilicueta often slotting in as a third centre back. Chelsea have defended off the ball in a 4-4-2 formation, with the right-sided forward often slotting into midfield. Every team requires a player who epitomizes the gaffer on the pitch as a perfect instance of the manager’s philosophy. Midfield metronome Jorginho’s £57m acquisition from Napoli was key in Chelsea picking up the pace of the philosophy only months into a new spell. The deep-lying playmaker or the Italian ‘regista’ sits behind the duo of N’Golo Kanté and either one of Ross Barkley or Mateo Kovačić, and dictates the way his team goes around proceedings. Jorginho has blended into the team with ease with his unparalleled understanding of the system his manager wants to play, constantly ticking the ball along, complimented with his passes into the attackers between the lines, or over them. Sarri prefers his most creative forward on the left as seen from his spell at Napoli, with Dries Mertens and Lorenzo Insigne being his preferred choices for the said position. He has effectively vacated Eden Hazard of all his defensive duties, with the Belgian being given the license to roam and wreak havoc on opposing defenses which has worked wonders so far. Hazard has made a brilliant start to the season with 8 goals and 4 assists already. On the right, Sarri prefers a forward with a better work-rate as well as a knack of getting behind the opposition defense, and hence he has employed either of Willian or Pedro Rodríguez on the right to provide width as well as defensive cover. Up front, Sarri requires an attacker with positional awareness, off-the-ball movement as well as a good understanding of the system. Both Álvaro Morata and Olivier Giroud have been rotated between competitions, with their sole motive either to get behind the defense or create space for inside forwards. Looking back at the manager’s short spell at Chelsea so far, a few tactical strategies immediately rise to the forefront. Chelsea kick off proceedings in every game with the forward passing it back to either one of Luiz or Rüdiger, who sets up the ball for the other centre-back to put in a long ball towards the left, where both Alonso and Hazard run in behind the defense to create an overload. in this way, Chelsea carve out an attacking chance within seconds of the starting whistle. Midfield destroyer Kanté has been given the new role of a ‘mezzala’, a position where he occupies the half space between attacker and full-back and tries to win back possession as far up as possible in the opponent half. Ross Barkley has looked like a rejuvenated player under Sarri with him often injecting attacking intent off the bench on the left side of the Chelsea midfield, with fellow English midfielder Ruben Loftus-Cheek used in the same position as well as on the right wing sometimes. Sarri developed a reputation for devising numerous set-piece routines, which led to him being nicknamed “Mr 33” because of 33 different routines. Obsessively devoted to detail, Sarri has implemented his ideas in his new set of players too, with Willian and Hazard often seen to be gesturing signals before they kick the dead ball. This routine directly resulted in goals against Southampton and Manchester United, besides carving out clear opportunities more often than not. Another tactic well-implemented by Sarri’s Chelsea is the ‘third man runner’ routine. Either one of the centre-backs pass it forward to an attacker dropping back who in turn passes it to the deep-lying playmaker. Jorginho carves out a through ball to exploit the space created by the attacker dropping back, which leaves the other attacker free with space to run into. 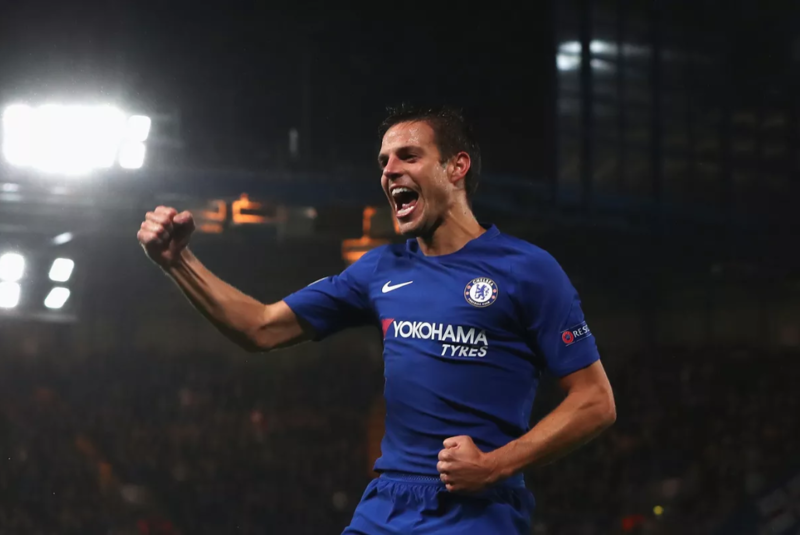 Chelsea have created numerous goal-scoring opportunities with this routine, with it also resulting in goals against PAOK in the Europa League as well as Liverpool in the Premier League. 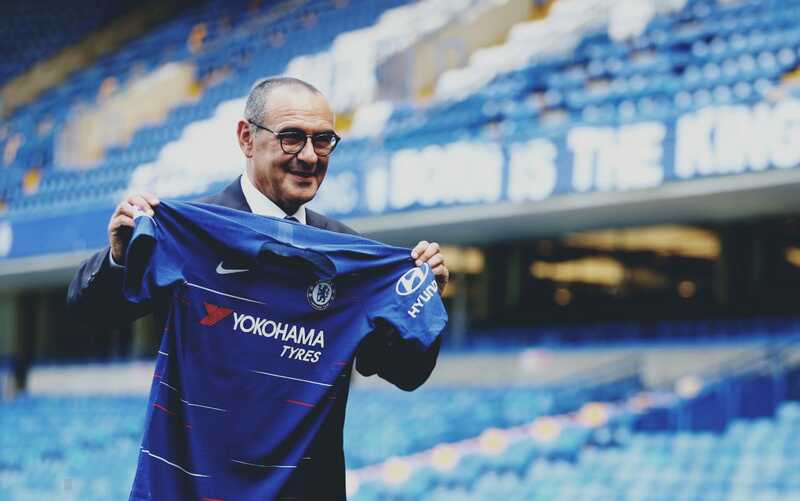 Keeping in mind all of Sarrismo’s attributes and advantages, there are a couple of situations the Italian might want to address concerning his long-term future at the Bridge. While Chelsea this season have been enthralling at spells, they’ve been on and off in almost every game: switching on the afterburners and often running out of gas in games. Sarri has often rued over the fact that Chelsea haven’t been able to operate on his philosophy at the required pace: they’ve had problems in breaking down teams with rigid defensive shapes. A point could also be made about the lack of rotation which has resulted in Chelsea dropping points on most weekends after European games. 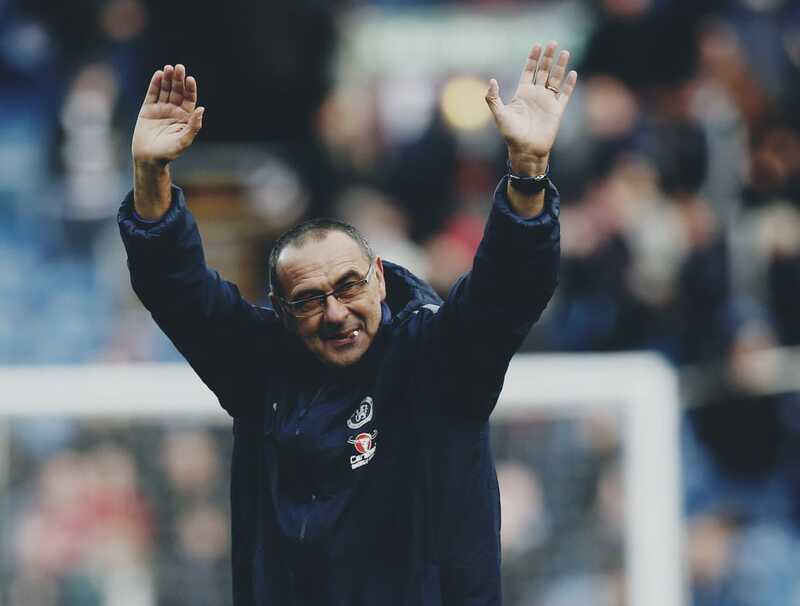 Despite his exhausting rotation policy and Chelsea’s lack of directness in cases, Maurizio Sarri has done a brilliant job so far at Stamford Bridge with his energizing tactics and a completely different philosophy compared to his predecessors. He lives and breathes football according to compatriot Jorginho: and with Chelsea being repeatedly linked with wingers and midfielders for the winter transfer window, maybe all the Neapolitan needs for the last piece of his puzzle is out there to be acquired. Or maybe Sarri will stick to what he previously said: maybe in a few months time, he will bring out his best brand of football, a vertical, relentless possession machine out of the players he has at his disposal now.